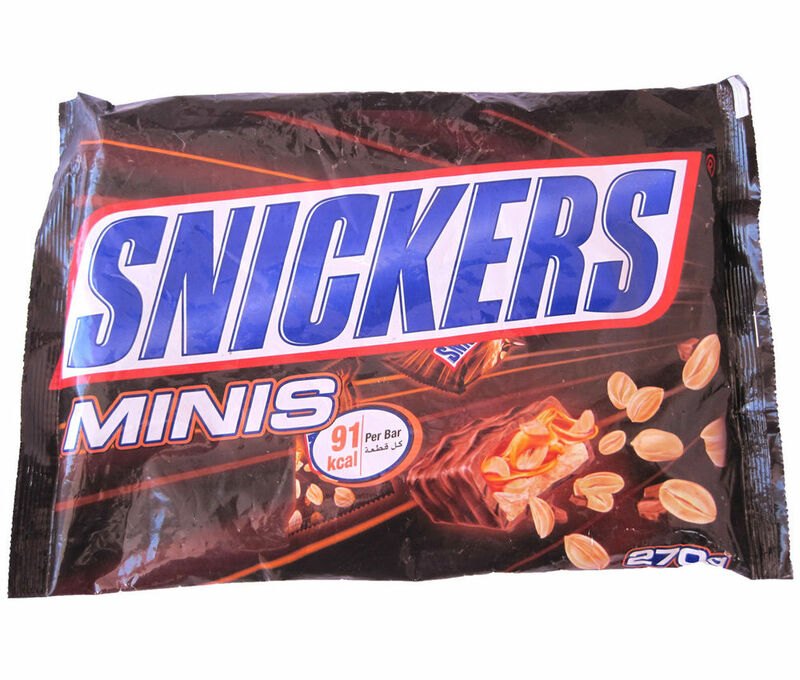 World's Famous Chocolates Snickers Packed with roasted peanuts, caramel and milk chocolate. Snicker brand handles your hunger so you can handle, well ...anything. Net weight of Package is 270gm.